I should preface this by saying that I’m one of those riders who has always lived in tank tops during the summer. This is Texas, it’s HOT here. Less clothes seems like the obvious best solution. Or so I thought until I found Kastel. I’ve been eyeballing all these different sunshirts since they first really hit the equine market. My interest was piqued but I was a solid skeptic. Sure I get how they protect you from the sun, and that’s fantastic, but how do they really keep you cool? In my mind there was just no way long sleeves could be as comfortable in 100 degree heat, but I was curious enough to investigate. I tried on/felt as many different brands as I could find… Riding Sport, Tailored Sportsman, EIS, Kerrits, RJ Classics, Ariat. I had a complaint with all of them – usually the fabric or the lack of SPF protection. Of those the TS was my favorite but it ran pretty short and I wasn’t quite sure how I felt about that. And really – were these things worth the price anyway? I had read a lot of positive things about Kastel’s fabric and it just so happened that the local tack shop (yet another shout out to The Tack Shop of Austin) carried them, so I went in to check them out. The plan was – if I liked it – to buy one. I came out of there with 3. THREE, not one. Oops. The fabric felt amazing, the fit was excellent, and the colors were great. At $75 they’re pretty averagely priced for a sunshirt, although I am a huge cheapskate on a perpetual tight budget and will admit that it hurt a little to drop that kind of money on shirts. But I liked them and I was curious, and as SO put it “your skin is worth it”… all that was left was to determine if they really lived up to the hype. The first few rides were a great test – one was in the evening around 7:30pm in 95 degrees with average humidity, another was in the early afternoon around 1:30pm in 99 degrees with low humidity, and the last was early in the morning around 8am in 80 degrees with very high humidity. I felt like that gave me a pretty darn good idea of how well they worked in a variety of conditions, and I have to say: I was sold on the first ride. They’re so comfortable, so light, but when you start sweating and any kind of air hits them (even the tiniest breeze), it feels divine. At first it was a little weird to have fabric covering my arms… when you get hot your first instinct is to expose more skin. I had to resist the urge and just let the fabric do it’s job. Since then I’ve worn them several more times and I like them more and more. They wash really well – I just toss them in with my breeches and cycling clothes then hang them out on the line. In 15 minutes they are bone dry and look as good as new. The thing to remember is that these shirts don’t stop you from sweating. It’s summer, you’re outside, you’re going to sweat buckets. What they DO do however is a) protect you from the sun b) help keep you cooler while you’re working and cool you down faster. Since I’ve been riding in these, when I get in my car after the barn I turn the AC off and ride home with the windows down – when it’s still 90+ degrees out! Pretty sure that’s never happened before. Any kind of air hitting that fabric feels like you’re wearing your own personal AC unit, so the actual AC feels COLD. I’ve had Icefil cycling stuff before, but this is seriously next level magic here. I will definitely be buying more of them. – at SPF 30 the level of sun protection is right on par with most of the other brands on the market, but a couple are as high as SPF 50 so it’s not the highest available. – as with all things, I wish they were a little cheaper. I think the price is fair in comparison to other brands, but of course cheaper would be better. Wow those are adventurous looking. Wish they had mesh under the arms… I can totally feel more of a breeze in that meshy part, I’m a believer. So glad you reviewed these–they seem like a slightly more reasonably-priced option than the EIS shirts (which perform basically the same as how you say the Kastel shirts do, and come in new colors every season) and are priced on par with the Bette & Court shirts … I really like their peach color, too. 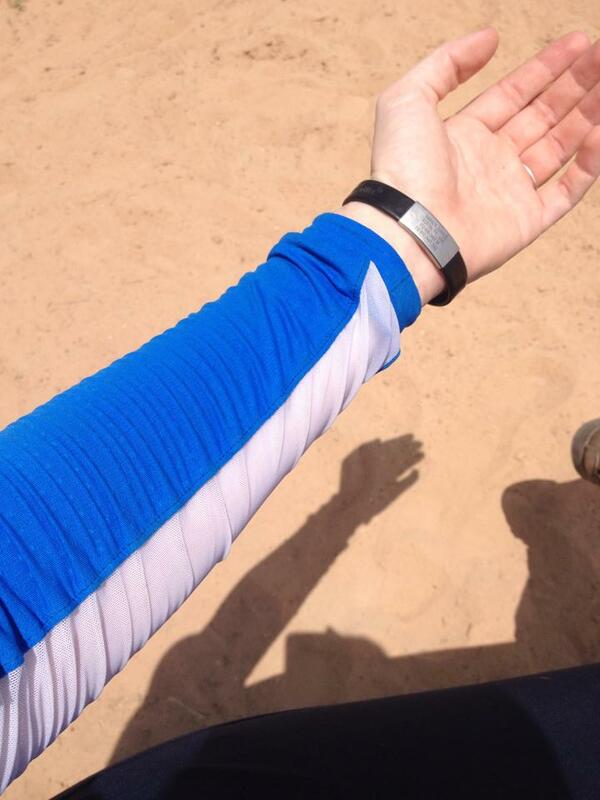 And since I ride in long sleeves frequently, even in the summer, these sun shirts are basically a necessity here. Please tell me they are a nylon blend–I can’t wear polyester very well and so many of these shirts have polyester in them! Sweet! I wish that 30 SPF were 50 SPF, but that’s still pretty good. Yep, that’s really my only sadness too. Although when I went digging only a couple brands are as high as SPF 50, and some don’t even list an exact SPF. I have one of these. My FL trainer’s partner is one of their marketing people, so I got mine for free. I loooooooove it. I have a Kerrits one and an Ariat one, and I think the Kastel one is my fave. Geez, I want one for free! LOL 😉 Nice hook up. I have a few EIS versions and I like them! Not the price tag. I’d be curious to try a Kastel and see if I noticed difference between that and EIS. The only thing I’m not super keen on is the big logo. I like the Kastel fabric a bit more than the EIS, but as with all things like this, it’s probably a matter of personal preference. How are they for length? They aren’t sold near me but I would consider buying some online. But…I am 6 feet tall. So if they’re long that’d be great! Question! How do you find the fit? I’ve tried EIS shirts but they seem so oddly fitted since I’m short and broad through the shoulders. Do you find the sizing to run pretty true to size and more loose fitting? Or are they more of a form fitting top? I think the fit is great for me personally. Issues I’ve had with other shirts have been length (too short to tuck in), arms/shoulders (too tight) and cut (too boxy). These fit really well. I got a Medium because I didn’t want them to be super tight fitting, and I like having that little bit extra without them being baggy or boxy. That’s what their size chart guidelines would have me wearing as well. I could easily size down for something tighter if I wanted, they have a good bit of stretch to them. If you can find somewhere to try them on I’d recommend it. I am such a cheapskate when it comes to clothes. These sound amazing. Maybe next year I’ll talk myself in to one. I definitely added to my wishlist. Not in the budget right now but maybe someday. I would love something like this for XC especially. If it makes you feel any better, SPF 30 provides 97% protection, and SPF 50 provides 98%. It’s surprising how little of a difference it makes. Even SPF 5 is 80% protection, which sounds crazy!